Raise your hands if you really remember waiting for the morning newspaper like anything. Or, sipping the morning cup of tea with the sensational news of last day. Well, for like ages newspaper gave people the addiction that seems to be lost now- The addiction to reading. To add to it, the fast-paced life and competitive arena make it really impossible to have the fortune of enjoying the hours of newspaper reading in the comfort zones of our home. The print media industry is facing an uphill struggle given ever-increasing competition from the internet and newspaper and magazine apps available free of cost on the web as well as mobile. Simply why newspaper publishing lost 4.5 billion U.S dollars between the year 2011 and 2018 (Source). Newspaper and magazine app development has taken the entire industry by storm. Opening readers to the important news of real-time basis, digital newspapers have garnered a lot of attention recently owing to their offline as well as online accessibility. If you are one seeking a promising future as a brand in digital newspaper and magazine realm, here’s a treat to your eyes and food for thought to help you hit the bull’s eye. Why Do You Need to Take Your Newspaper Online? Yes, your newspaper may be doing an awesome job, but nothing can overshadow the ease and convenience that the mobile aids offer. One of the researches conducted by Pew Research Center suggests that only 2 percent of the Americans prefer print media over digital newspapers. About 70% of the users take up to Facebook to explore the latest news. What are the Types of Newspaper Applications? Before anything else, you need to figure out what type of magazine application will work best for your business. Primarily, you can choose from two available types. The first one being News Aggregator while the second one is Mobile apps for news resources. Let’s get acquainted with each of them one by one. This type of newspaper app lets you cover various types of happening around you. These can cover events from a particular city or across the world. 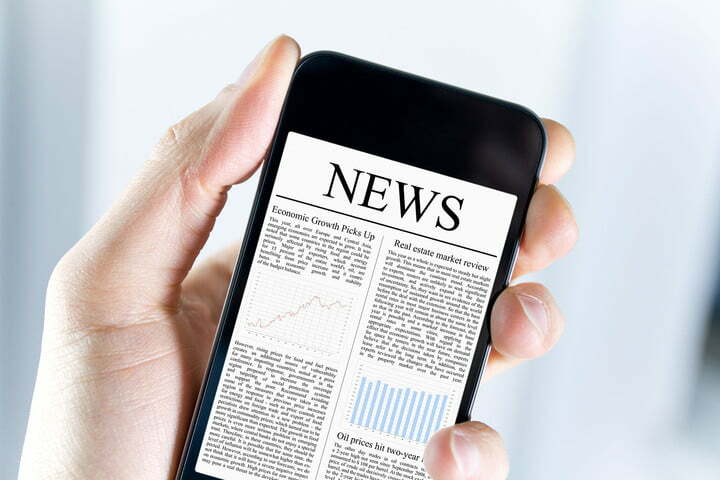 Gaining readership from the addicts who love to stay updated on the latest news and events around the world, these types of newspaper apps offer great RoI when combined with the right approach and monetization strategies. 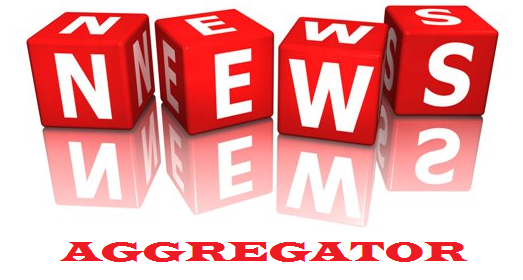 Also referred to as Feed aggregator, feed reader, news reader, RSS reader or simply an aggregator, these apps do not create its own content and rather curates it from users, webmasters, or RSS feeds. Round-the-clock access to the latest news on mobile devices wins user’s faith by keeping them informed about crucial events. Boost user interactivity by letting users pick favorite categories for themselves. The users can also be enticed by various media content like pictures, audio, video, and texts. Allows you to place in-app ads and employ better strategies for monetization. Why Key Aspects do I need to Keep In Mind while Developing a News Mobile App? The aim of newspaper and magazine app development is not limited to reporting news uniquely, but also to make it more interesting and helping users find answers to their questions. Take care of the format of news display. You cannot prioritize certain sections from regional news and events, but need to offer the latest updates from areas like sports, fashion, lifestyle, relationships, etc. Let your users choose the sections they wish to see on priority. Make sure that the displayed content is under constant monitoring. Along with this, take care of the authenticity of publications. Why Taking Your Newspaper/ Magazine is a Good Option? Not many users would have time to go through the print newspaper or magazine. But, they’ll always have a smartphone handy, and that’s all that makes a difference. And hence, smartphones happen to be the most preferred way for the user to browse news/ events/ etc. The trend is more significant among the tech-savvy generations of millennials. Thus, newspaper/ magazine app development gives you a chance to showcase your newspaper in a possible way. The field of mobile advertising is certainly on the rise today. According to the latest reports, businesses and startups around the globe are going to spend up to $100 billion on mobile ads by the end of 2016. The increase is overwhelming if compared with the rates in 2013. You can also get a piece of that pie and build a magazine app featuring video campaigns, interactive sections within the application, targeted push messages and other ad tools that will let you break the edge of native ads and move far beyond. The ability to create a magazine application will deliver some additional promotional opportunities. You can establish an effective collaboration with companies and sell tickets for their events. You are the one to choose a sponsor as well as the target audience. Cooperate with organizers and publishing companies to select from additional promotional campaigns. Having a mobile app for your newspaper or magazine may eventually turn out to be the only way to keep up with the readership. The world has gone mobile while a mobile application is the best bet whenever you need to increase your reader base and attract new audience from other related segments. When you decide to get into the newspaper app development choosing the niche and thinking of some new features to implement will be the first stage of the process. Keep in mind that your particular product should refer to a specific content. Never try to cover all areas at the same time, as it will be nothing but a waste of time. Whether you want to build a newspaper app like NYTimes and deliver the latest deals and financial updates or simply describe some of your favorite recipes featuring detailed instructions, the structure of the magazine app development process will be the same. How to Develop a Newspaper/ Magazine App? Native apps feature adaptive design – your application will never look like an “alien” among other award-winning products. It will have its own face and recognition in accordance with the latest mobile trends. Choosing the right mobile platform has always been a matter for endless argues among developers. Of course, developing native applications for both of them would be the best solution for letting you deliver your product to more users. However, a few of us can afford doubled development costs. If you have a limited budget, choosing the platform should depend on the region you are going to target. On the other hand, we are discussing the cost. For this reason, you should know that Android development is totally different from iOS development. On the other hand, both processes can come with additional obstacles and difficulties. It all depends on the complexity of a particular project, a number of features you want to see on your app and some other issues. Geo – Create push notifications and send related news linked to the location of your users. Let them keep in touch with everything happening in the borough. These are only a few ideas you can implement in your newspaper or magazine app. It does not really matter what you choose. The key to success is to build an application that will stand out from tons of others available on the mobile market. So, Wat is the Cost of Building a Newspaper/ Magazine App? The cost will depend on different issues like a number of features, their complexity, type of mobile platform and others. If you decide to opt for an outsource development team, you should be prepared to pay from $8,000 to $15,000 for a single-platform native application with an attractive UX design. The same application will cost you from $20,000 when it comes to local companies. If you are eager to create a more action-packaged product with extra features and extended functionality, it will cost you from $20,000 to $40,000 if opting for outsource or local companies respectively. Those who look for a balance between affordable prices, better ideas and exceptional quality, should turn to our specialists. We can boast a huge track record of successfully completed projects in spite of complexity. Dedicated designers and programmers will bring your innovative idea to life. Contact Matellio’s mobile app development experts and launch a successful development process for your project.